Mostly people have a mindset that freelancing is an easy career but if your livelihood totally depends on your freelance jobs than it might be most laborious career. In freelance business you will be your own boss, you have to manage and take care all the matters regarding your career and freelance jobs. In early days when you start freelance business you may not need any management tool to run your business operation smoothly. 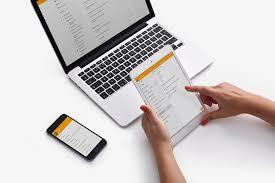 But if you are getting jobs on regular basis and want to take your freelance business on next level then you must need to use some management software’s and tools. Today numerous kinds of online tools are available to help you run your freelance business. Following are some important tools enlisted for you that are almost free or available almost no cost. If you are using different tools to manage your freelance jobs and to stay organized. It will be difficult for everyone to visit and manage different tools on the same time. Best solution to stay organized is Taco App. Taco can combine tools like Gmail, Todoist, Asana and many more in one simple list. Taco allows you to get more done by prioritizing tasks across over 35 tools in one, streamlined application. Taco fits for all kind of your management needs. It is very important for effective communication that your content is free from grammar and spelling mistakes. 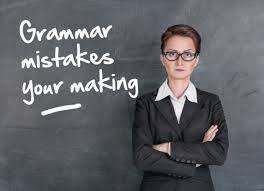 To avoid making costly typos and mistakes, you should try an online grammar and spelling checker named Grammarly. It will fix all grammar and spelling mistakes from your content. Grammarly also give you word suggestions. It will get you far beyond the simple spelling and grammar check on Microsoft. Grammarly is trusted by students, professional writers, business people, and bloggers. It is simplest way of arranging meeting or calls. You don’t need to send multiple emails or messages to decide on a date, time or location. YouCanBookMe is equipped with automatic emails, customizable messaging and a seamless integration for your calendar. UberConference is free of cost conference call service. You can use this tool when you want to keep your personal cell phone number private or collaborate with more than one person. UberConference has many options such as call recording, video and voice call conference muting and hold options and many more. To provide quality services in freelance jobs customer management is essential item. What you want from a CRM software is up to you. You can use Sage, Capsule CRM, MailChip CRM, ZOHO CRM, SalesForce, Excel and many more. For freelancer’s financial management is more difficult due to nature of freelance jobs. Now there are many financial tools are available in market. You just need to enter the job and amount of the job and all other will be done by this financial software’s. Some software provides financial solutions and bookkeeping solutions simultaneously. Here I would recommend you only two tools Kickstarter and Xero only. A booking tool for all types of events. Integrates well with WordPress and Facebook too. 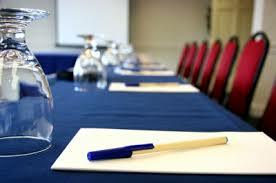 Another event management service, which is especially beneficial for networking events. For me, Meetup is another social network, but nowhere near as big or as well-known as Eventbrite. Nowadays social media marketing becomes more important than anything else. Every kind of businesses is taking great advantage of social networking in brand awareness and continuous engagement with customers. If you need to market yourself to get freelance jobs than social media marketing is most appropriate option. Join different freelance groups and forums as much as you can. Build your own network of freelancers and clients on social media. You can also use different unique options of social media marketing like you can offer discounts on social media networking websites. You can also run different campaigns on social media for example you can promote your freelance services with viral email marketing, video and discount offers. You can create your pages and tabs related to your work and keep yourself in touch with other interested people. To manage all of your social media marketing efforts you can use different software i.e. BleuPage, Tabfu and many more. With BleuPage you can manage all of your social media platforms in single dashboard. You can use many other different software to manage your freelance jobs activities with many other freelancing tools but they may cost you. This software’s are free or almost free of cost. You can add more tools in your list.